A review of the ferry industry’s latest challenges and opportunities attracted a record 340 delegates to Vancouver last week for the 39th annual Interferry conference. The global trade association event exposed a string of concerns – notably over punitive safety and environmental regulations – but also highlighted the financial potential of new routes, onboard shopping incentives and the use of LNG fuel. Alongside sessions on the future of the industry, Canada-based CEO Len Roueche outlined a vision for maintaining Interferry’s influential lobbying role among politicians and regulators. The association opened an office in Brussels in 2012 to cover IMO and European Union affairs. 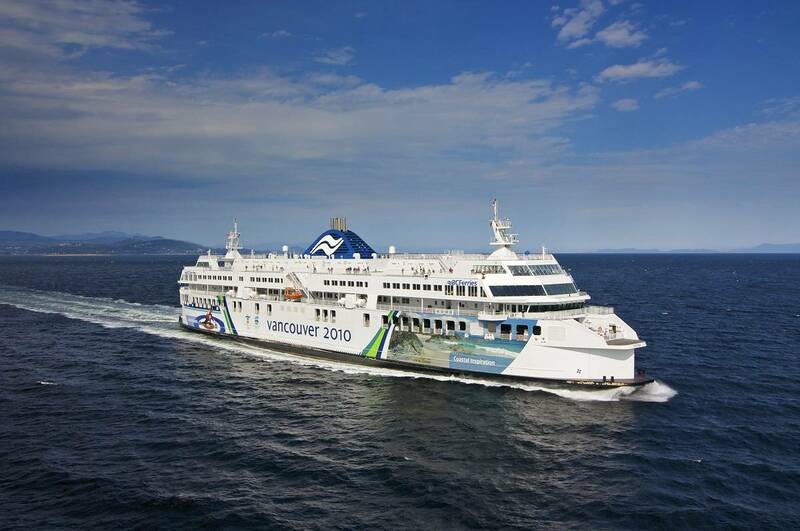 Funding for the start-up and operating costs for the first three years was provided by 11 major Interferry operators. From 2015 funding responsibility will be assumed by Interferry. Interferry chairman Mike Grainger, managing director of Liferaft Systems Australia, recalled that it was 20 years to the week since the Baltic ferry Estonia sank with the loss of 852 lives. Grainger stressed that this applied not only on international services but particularly on domestic routes and in developing countries, where the vast majority of casualties occurred. The worldwide ferry industry – with annual carryings of 2.2 billion passengers, 258 million cars and 40 million trailers – was described as indispensable and essentially safe by special guest speaker Jeff Lantz, the U.S. Coast Guard director responsible for safety and environmental regulations and chairman of the IMO Council. “The sad truth however is that 9,000 have perished this century, an average of 650 per year that I suspect is under-reported,” he went on. “The majority of accidents occur on domestic services not subject to international standards and, by and large, in developing countries with competency and capacity issues.” Interferry had an important role in assisting the IMO to improve safety in these countries through initiatives such as a major conference set to take place in the Philippines next April. As a result, in addition to design studies to enhance the survivability of larger ships, the IMO had introduced recommendations and mandatory requirements on damage stability and emergency response training, evacuation analysis and passenger awareness of emergency procedures. Future considerations would include the design and arrangement of central systems and a review of search and rescue plans. Interferry had shown that, if involved early in the regulatory process, it could ensure regulations were adapted to fit the ferry industry’s specific needs, said Roos, citing the imminent ballast water management convention among environmental measures that were inappropriate to short sea shipping. “You may end up in a situation where you have a three mile crossing between Denmark and Sweden and have to invest half a million Euros on equipment to kill off organisms in the same water,” he said. Brittany Ferries deputy managing director Christophe Mathieu protested that the decision to enforce low-sulphur rules in Emission Control Areas (ECA) from next January was made without regard to their impact on the industry. The company had been driven towards more expensive MGO fuel before it could test the viability of alternative compliance methods. LNG was a “chicken and egg” syndrome where there was still debate about the regulations, while exhaust scrubber technology was “only just about ready” less than three months before the rules take effect. Canadian Shipowners Association president Robert Lewis-Manning agreed that regulations frequently did not adequately represent short sea operators. “Our sector often goes unnoticed and then we have to work even harder to correct the situation – yet we are the most energy efficient mode, have the smallest carbon footprint and offer less congestion,” he claimed. He called for a special sub-committee or working group to be formed at the IMO, together with dedicated representation within the International Chamber of Shipping. The growing trend to think beyond technical safety solutions was explored in a panel session on the human element. P&O Ferries fleet director John Garner – noting that 80% of maritime incidents were due to human error – explained how the company used Maritime Resource Management training to support a safety culture based on changing attitudes and behavior through leadership and teamwork across all levels of crew and shore staff. “The emphasis is on improving operational control – it’s not about more bulkheads to stop a ship sinking, but how to avoid or mitigate an incident by exerting our experience and competence,” he pointed out. Darren Johnston, safety and security director at conference hosts BC Ferries, outlined the basis of the company’s SailSafe initiative developed in cooperation with the BC Ferry & Marine Workers’ Union. “We must stop obsessing about the negative and focus on the positive by exploring why things go right – and that’s about 90% of the time,” he asserted. Payback was a major issue for George Capacci, responsible for operations and construction at Washington State Ferries, which he said was considering LNG retrofits to six diesel-powered vessels to save 40-50% on fuel costs. After more than four years of studies, the company was now awaiting U.S. Coast Guard approval ahead of a planned one-ship pilot conversion. However, the vessels were already between 30-35 years old and the return on investment was a potential inhibiting factor. 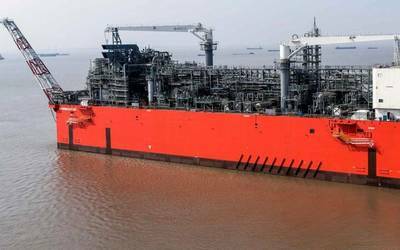 Meanwhile the company was researching hybrid, electric, solar and hydrogen options as well as evaluating LNG for newbuilds. Anders Orgard Hansen, managing director and owner of Denmark’s OSK ShipTech marine consultancy, reported on a 600-passenger, 160-car ferry about to enter service to the CO2 neutral Danish island of Samso. Initially to be powered by LNG supplied by Q8, the ferry will in future be fuelled by liquefied biogas produced from the island’s household and farm waste. Paivi Haikkola, R&D manager at Finland’s Deltamarin, outlined the company’s study of 13 LNG tank arrangements. Two front-runners emerged in the light of current rules and regulations, which she noted “are changing at quite a pace”. An aft open deck layout was commended for ease of bunkering and good ventilation despite potential drawbacks such as reduced capacity and the effects on stability and hull performance. A vertical tank installation in the aft part of the vessel did not work for small ferries but was considered one of the best solutions for cruise-size tonnage. Panellists in a session on state-owned ferry companies were unanimous that politicians should steer clear of involvement in day-to-day operations. John Steen-Mikkelsen, CEO of Denmark’s Danske Færger – hosts for the 2015 Interferry conference in Copenhagen – said the role of politicians should stop at setting the tender requirements. He was happy with a system where the government was not the full owner, but conceded that subsidies were essential to fund lifeline services. “Otherwise you wouldn’t have that late night departure with only a few people on board - we might run only half of those trips,” he admitted. 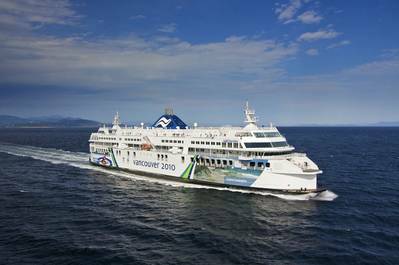 Canada’s Gordon Macatee, the BC ferry commissioner and regulator of BC Ferries, defined the company as quasi-private, still owned by the state but, since reforms in 2003, with only two government representatives on the board. This allowed the freedom to make independent commercial decisions. “In the past, the ability to make decisions depended on how far away the next election was,” he noted. Now there was ‘light-handed legislation’ in the form of a price cap, but within this limit the company could set route tariffs according to market conditions. Three of the 25 routes were commercially viable. He doubted that the required fare levels for the other routes would be sustainable without subsidies, which were declining but entirely supported the capital expenditure program. Former Washington State Ferries director David Moseley said only two or three of the company’s ten routes could fully support their operating costs without subsidies, which had totaled $1.3 billion over the past 14 years because ferries are regarded as part of the state’s transport and highways infrastructure. Fares accounted for 70% of the company’s overall $450 million annual budget, while the state aid supported capex projects. Joachim Ronnevik, senior advisor at the Norwegian Public Roads Administration, summarized the impact of the tendering process launched in 2005 – competition but consolidation, more environmentally friendly requirements and, in some cases, too much risk assigned to operators. The government viewed it very important to maintain services even if only for a single fish processing plant if this was essential to regional survival. A former global sales manager at retail giant IKEA, now head of group onboard services for the 40 vessels at Sweden’s Stena Line, explained how the operator had made shopping a reason to travel – prompting a dramatic revenue increase. Per Ola Jonnerheim said research had shown their customers liked a treat but money could be tight, so prices had to be more affordable. The answer was to create the Bordershop outlet concept. The supplier base for the 10,000 products stocked was slashed to enable volume purchasing discounts, which resulted in retail price reductions of 20%. “We got 25% more customers and onboard sales went up 50%,” he revealed. “That’s a lot of happy customers – and happy customers come back.” Special promotions also played their part – wine sales rose by 70% after the company gave away 50,000 bottles of wine. BC Ferries VP customer services Corinne Storey said the company had shifted from a small gift shop offering when tourism dipped after the 9/11 outrage in 2001. The prime market became local people, particularly women over 35 years old. The ships were marketed as the place to shop for casual west coast clothing that could not be bought in stores ashore. Monthly promotions based on free gifts from suppliers produced a 45% surge in revenue, which now totaled more than $17 million per year. With expansion into menswear, baby wear and youth ranges, retail income had become a key component of funding ship upgrades – including much larger onboard shops – and the fleet renewal program. The 2016 Olympic Games in Rio de Janeiro will require a 50-73% capacity increase on key commuter ferry routes operated in the state by CCR Barcas – already one of the world’s top five carriers with 29 million passengers per year. Tiago Esteves Terra de Sa, responsible for planning the company’s terminal operations and transport solutions, said that, following a $150 million investment in 22 catamarans, the company was now looking for a commercial partner to invest in new terminals. Studies for a regional fast ferry service in the southern Caribbean were reviewed by Adrian Beharry, senior maritime lecturer at the University of Trinidad & Tobago. A task force had been set up in 2008 to consider the potential for a public-private partnership serving agricultural, manufacturing and tourism markets. Their 2011 final report found that the prevailing levels of passengers and cargo were too low to support a regular service with the size of vessel required to combat waves of up to four meters and seasonal hurricane conditions. “However, latent demand is known to exist and the conclusion was that a service could be viable in three to five years,” said Beharry. In contrast, Florida-based travel and tourism consultant Bruce Nierenberg insisted that now was the time to get involved in an untapped tourist market – with an overnight ferry service from the US to Caribbean destinations such as Cancun in Mexico and Cuba, where he said travel restrictions were likely to be lifted in the next 18 months.